Every state has its favorite beer. Whether that's Furious or Sweet Potato Cream Stout, every favorite beer comes with its own state-specific tax. 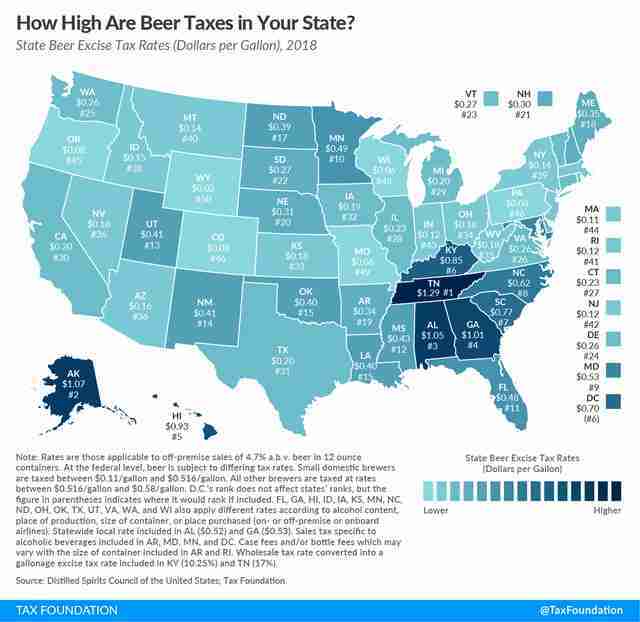 As it did last year, The Tax Foundation -- a non-profit critical of tax policies -- has compiled every state's beer tax details into the map below to show who is paying the most in beer taxes. Not every state taxes beer in a similar way. At times, this is comparing apples and oranges as far as a consumer is concerned. The example given by the Tax Foundation is Minnesota, where the retailer is taxed at $.15 per gallon while the sales tax of 9% is applied at the point of sale. Additionally, there are tax variations based on the type of beer you're purchasing. 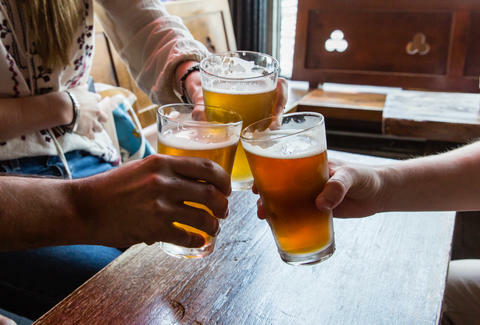 For instance, in Idaho, any beer with a 4.1% ABV or higher is classified as a "strong beer" and taxed at the higher rate for wines. Overall, there's a wide gulf between the lowest and highest rates. Wyoming is the lowest at just $.01 per gallon, and Tennessee is at the other end of the spectrum at $1.29 per gallon. It's interesting, but probably not going to stop any from checking out that dank-smelling Hemperor or whatever's on tap down the street.